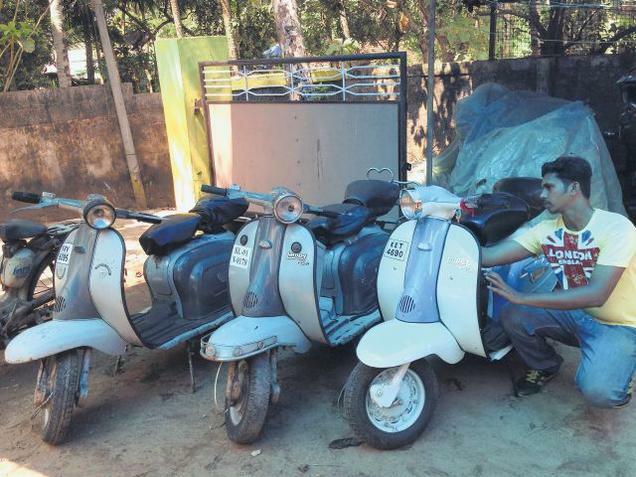 Reading in this article from India’s “The Hindu” online newspaper about the new found respect for Lambretta’s in India. SIL, (Scooters India Ltd) are still a going concern, still rolling out factory fresh GP200 engines like this one on eBay (I think they are still making them, they may have a big warehouse full of NOS somewhere!). Did you get that? A SIX YEAR waiting list! Although, as ever in life, it’s not what you know, it’s who you know. Mr. Raveendran managed to jump the queue, and get his scooter in two weeks. This entry was posted in Lambretta History, Lambretta Life, News and tagged engine, GP, India, Lambretta, Lambretta scooter, Lamby, Lamby Polo, Scooters India Ltd, Series 2, SIL, The Hindu by crocodilejock. Bookmark the permalink.